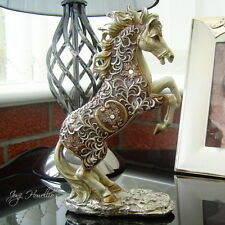 In A Gorgeous Gold & Brown Colour Glittery Filigree Design. Features A Reared Up Horse With A Beautiful Flowing Mane. With Reflective Round Mirror Inlays Decoration. schleich horses. Condition is New. Dispatched with Royal Mail 2nd Class. 16cm (6 1/4"), height approx. 14cm(5 1/2"). 17.5cm (7"), height approx. 15cm (6"). Collecta Horse pony X6 Used Bundle. Condition is Used. Dispatched with Royal Mail 2nd Class. Schleich Bundle horses figures and riding tack. Condition is Used. Dispatched with Royal Mail Signed For® 2nd Class. It is missing one of the roof windows but other than that it is in excellent condition. 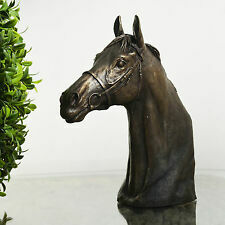 Heavy Resin Horse And Foal Ornament Sculpture On Plinth Collectable Academy.... Condition is Used. Collection in person only. 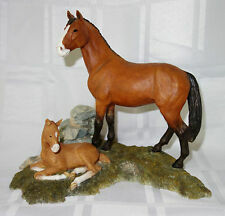 large horse ornament mare and foal 14 x 16 no chips or cracks. Condition is Used. Dispatched with Royal Mail 2nd Class. Breyer Horses Stablemates Bundle. Condition is Used. Dispatched with Royal Mail 2nd Class. Various models. One has a broken leg that I fixed. Schleich tinker mare, used but still in good condition. Toy Stables Schleich Horse childrens toy stable. Good condition, plenty of life left in it. Condition is Used, good condition. Collection in person only please from Halesowen, B63. For some strange reason , ebay has added a 'make an offer'(not sure why). I will let it go for the 7 days, not an offer. thank you. . Stallion, Mare And Foal Horse And Pony Toy Set. Felt like coats and hair/soft mane and tails A few scuffs and marks on stallion and foal But not bad at all Need to go and be played with! Selection Of 11 Schleich horses . Condition is Used. Dispatched with Royal Mail 2nd Class. Breyer 1:12 Classic Blanket Appaloosa Resin Horse Model. Used as a shelf ornament only, never been played with. Few minor scratches but it came with them from new. 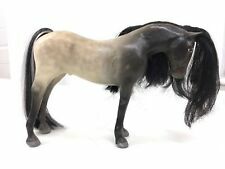 Vintage Original Model "Is-Is" Horse - Similiar to Julip 1960s. Bought from Hamleys Toy Store in 1960s. Made from rubber which has hardened over the years. I have tried to show condition in the photos. Three of the legs are broken and will need repair. Bridle and saddle are included as shown. Looking for a good home where he will continue to be loved. 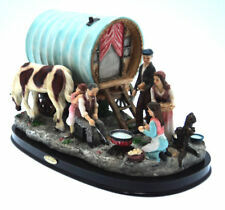 All figures are schleich but the stables are actually a playmobile set but works fine size wise. 3 horses with stable accessories 4 people Good condition schleich horse bundle With Stables. Condition is Used. Dispatched with Royal Mail 2nd Class. Lovely bundle of Schleich ponies / horses. All in stunning condition. Any questions please feel free to email me. Only bid if you are going to buy as non payers will be reported to eBay. I send all my items well packaged and by 1st class recorded delivery so will need to be signed for. Happy bidding. 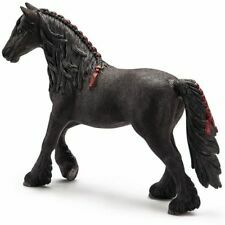 Schleich Horse Accessories Bundle. Condition is Used. Dispatched with Royal Mail 2nd Class. 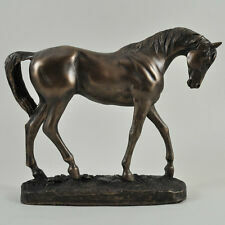 Breyer 1:9 Traditional Hickstead Resin Horse Model Discontinued model Used as a shelf ornament, never been placed with. Breyer Model Horse Valegro. Condition is Used. Dispatched with Royal Mail 2nd Class. Good condition and has only been sat on shelf, hence a bit of dust on him in areas I’ve missed. Box has a few rips here and there. 17.5cm (7"), height approx. 15.5cm (6"). 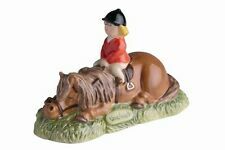 Breyer classic. Condition is Used. Dispatched with Royal Mail 1st Class. 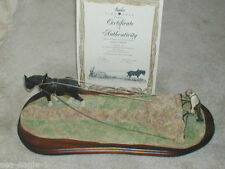 Breyer 1266 Blue Suede Shoes, Collector's Choice, Retired 2006. Condition is Used. Slight mark on right shoulder, as shown in last image. Dispatched with Royal Mail 2nd Class. Breyer traditional ponys . Condition is Used. Dispatched with Royal Mail 1st Class. Schleich Wooden Stable in good used condition. It is in the original box with full instructions and a few spare parts. From smoke and pet free home. Dispatched with Hermes or collection in person. I am happy to send via alternative courier. Parcel is 58cm x 9 cm x 35 cm and weighs 3.5 Kg. schleich animals bundle - Set Of 3 Horses. Condition is Used. Dispatched with Royal Mail 2nd Class. Condition is Used. Ha s a fe w marksa s yo u ca n se e on t he p ho to s nothingmajor. 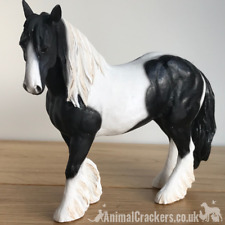 Ceramic Shire Horse. Condition Used. Unknown make. Free postage and packaging. Happy bidding! Julip tack, two saddles and two bridles. all complete. Trail Of The Painted Ponies “Year Of The Horse”. Condition is New without box Dispatched with Royal Mail 2nd Class. NO BOX. 18cm (7"), height approx. 15cm(6"). Schleich mystical creatures elves fairy unicorn horse. 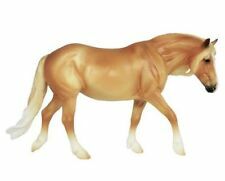 Schleich Brown ARABIAN GELDING 13248 Horse - Animal figure 2000 Retired!